i love Star Trek. Next Generation was my favorite, and i think i learned more science from that show than anything i ever learned in school, lol! thankfully most of it was scientifically correct!!! I remember the whole dyson sphere totally blew my mind, just the idea of how huge it was seemed unfathomable to me, but the writers of the show always did a great job of explaining everything, so even I could understand it (and that’s saying a lot, lol!) God Bless Rick Berman! This kind of construction and technological feat is huge. You are looking at a very advanced society that is able to make anything close to this. This is solar power to the max. I can only imagine the amount of energy that you would harvest from something like this. A great post about Dyson Spheres, and you cleared up something I had obviously misunderstood about their employment. I didn’t realize the theoretical plan called for building Dyson Spheres around an entire solar system. I had understood the concept was the sun alone would be encapsulated. I remember thinking, “If the sun is enclosed to harness it’s power, most of that power will be used to replace the light and heat lost by the sun. I’ll have to pay closer attention when discussing theoretical physics in the future. Ideas like this and nuclear fussion really excite me. The need for power is only going up, especially as our computers and electronics get more powerful and more mobile. I’m such a huge nerd, i just went and watched the entire episode to re-fresh my memory, gotta love Scottie!!! 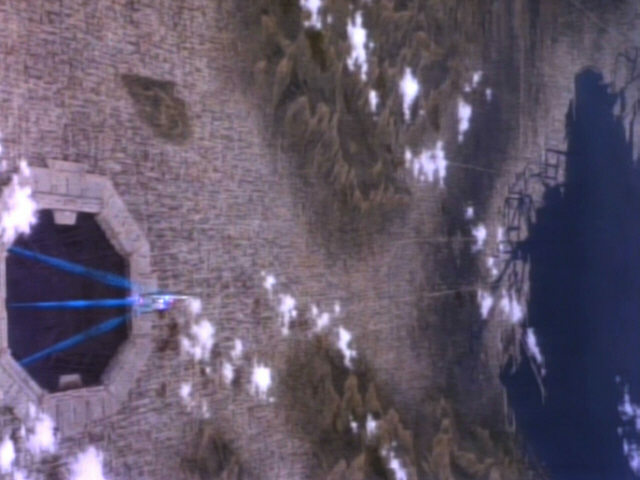 Star Trek episodes never get old for me, I think because of all the amazing ideas like this dyson sphere. I can not believe there is an episode of the original Star Trek I didn’t see. The theory of a Dyson Sphere being used to harness the energy of the sun is what interested me in the article, as does anything relating to alternative energy. But I am a huge Star Trek fan and either I forgot about the episode you mention or I missed it. Thanks for the great article, now I have to go and Google “Star Trek Dyson Sphere” to see if I can find a full version online. The Dyson Sphere is an amazing theoretical concept, and anything harness naturally occurring energy is worth considering. Ironically, by the time the technology is in hand to actually build a Dyson Sphere the financial resources to do so will have probably been made from fossil fuels, which means the energy generated will probably be controlled but Gulf, Shell, Exxon, BP and so on. Such a grand idea. I hope one day we are capable of such an amazing feat of engineering. My husband is a biologist and he is always talking about things that happened ‘long ago’ and i assume ‘long ago’ is like before we got married, lol, but when he says it, he means before dinosaurs. its always amazing to me how scientists can make the earth seem so very tiny compared to the sun, like the sun is this mega gigantic thing. 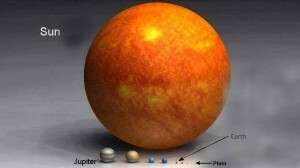 but then i am thinking, i LIVE on that tiny little earth and it is HUGE, lol! i really enjoyed the picture of the sun compared to all the planets, it really is unfathomable to me to think about things on such a grand scale. i can see the photo, and when i look up i can see the sun or stars, but i just can’t even imagine how big these things really are. and don’t get me started on the dyson sphere! to me, a Dyson is my vacuum cleaner, lol! Just over 100 years ago flying became a reality. Today thousands of people are flying about the planet on a daily basis, and a few lucky souls leave the planet on occasion to venture into space. It may take a few hundred years more for a Dyson Sphere or some similar invention to become a reality, but at our current pace of technological advancement it’s only a matter of when, not if the power of the sun is harnessed. Ideas like this will surely help us by providing a lot of power for our needs. One day Man will fulfill this dream and make history. I think you have the smartest and quickest way to build a dyson sphere. Good job. Oh god, I love to live in that era where we can have a Dyson sphere. Hopefully I still make it to experience this magnificent marvel. 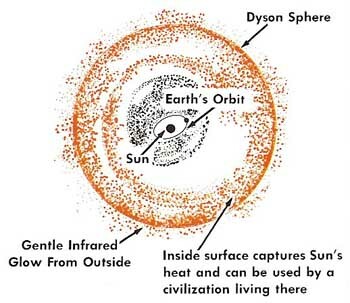 The idea of creating food just from the energy of a Dyson sphere is very intriguing for me. Imagine, if people on earth have that kind of technology then lots of problems are going to be solved. You mentioned that with we can transform energy into matter like transforming some of then energy into food. But do you also know what its limits are? Like, can we also produce gas from it or any of the sort? Making fantasy become a reality seems to be the common thing nowadays with our generation. Solar powers are the idea that fancied men before and now this, a Dyson sphere that can create energy into matter. I remember a game called Supreme commander where the same concept was used. Turning large volumes of energy into mass and anything else that the players will need. It seems even that game can come true now with this kind of energy source. Really cool technology right here. You want to talk about satisfying energy needs. I can see a class of students far off in the future listening to a virtual teacher explaining how their ancestors once burned wood, then oil made from animal fat, then coal, followed by petroleum. That they erected devices to harness the wind too, and even tried generating heat and light using nuclear fission. The class is aghast. A student asks the holographic teacher, “Was there no sun back then?” The educator program says, “Of course there was, but it was thought to be too costly a source of energy to develop.” The student asks, “Then when did our ancestors finally create Dyson Spheres?” The answer… “When they consumed everything that was combustible, leaving only wind which wasn’t enough to sustain their energy needs.” – My futuristic example of necessity being the mother of invention. I don’t have a crystal ball, so I can’t say for sure what will or won’t happen decades from now, or a century or two into the future. But two hundred years ago people were struggling with a workable means to fly, and today we’re close to launching commercial spacecraft to take tourists into space, a Dyson Sphere or other technology to harness the sun’s energy is entirely possible. That is for sure, technology is advancing faster than we could ever imagine, so it’s perfectly possible that a Dyson Sphere to be a reality in some decades. At least technically and if profit coming from it is seen, or else it won’t be made much investment to it. But what would happen after thousands or tens of thousands of years? Isn’t space expanding? If so, would the Dyson Sphere slow down the expansion of our solar system? Maybe this is something to be concerned after millions of years, but the thought had occurred to me. I didn’t even know what Dyson Sphere was before reading it here, so it’s all kind of new to me. I’d like to see us build a halo-like structure before we attempt something like this though. That would be awesome! I agree with you, if they are planning to actually do this one day they need to take this type of things in count, and it would also be good that they would inform us about this type of questions. Dyson spheres sounds like a cool construct. I wish I could see something like this built within my own time but that probably won’t happen anytime soon. A device like that is far past my comprehension. 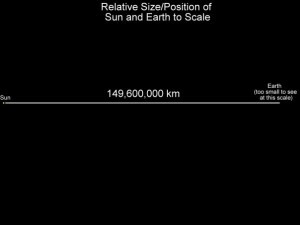 I can barely imagine the distance between me and the next continent, let alone an object that is bigger than the entire galaxy that we haven’t even come close to leaving as people. As technology gets better though, humanity will evolve to understand this probably as it becomes more of a regular thing. If every second the Dyson Sphere absorbs enough energy to fuel earth’s needs for 500.000 years then we don’t even need to make a full Dyson Sphere, we only need to strategicaly place sattellite panels around the earth in tune with the earth & sun orbit to always face the sun, which is much more affordable. Now consider that there’s a new invention out there with lightweight super-efficient bendable solar panels that would reduce the cost of settup by a lot, cutting down on the weight that a rocket expedition would need to carry. The only problem I see is emiting that harvested energy back to earth because you can’t very well lay a big cable from here to space. So yeah, Nicola Tesla’s wireless energy transmition scemes would help out a lot here. This is another fascinating concept I never heard of before. Let me see if I got this correctly, this was mentioned in a fictional show (Star Trek) and after that science tried to build that in reality? If it that massive it would take various lifetimes to build. We have done such a great job of destroying earth that I doubt we could even come close to build something like that. Every country would have to be in sink and work for the same common goal. Just that alone would take for ever to get right let alone actually starting to build the structure. Would we need a whole, complete sphere, though? I mean, if 1 second of harnessed energy can power the earth for half a million years, there doesn’t seem to be a need for the whole sphere. Especially when you consider that we can’t actually store that much energy. With this in mind, your proposal on how to build the structure becomes infinitely more realistic. Self-replicating robots building something 1/1000th the size of a full Dyson Sphere could not only power the Earth for hundreds of years per second, but give us enough energy to really start experimenting with things like deep-space probes and the like. Nicely done! I read this post a few days ago and I’m still kind of frustrated that this isn’t possible yet, imagine how many energy would we be able to produce? That would definitely be a good thing for the economy of a lot of countries. But on the other day, I find this idea quite scary… As individuals we are already really isolated and it would be a tragic comedy to see that we would be isolated with only a couple of more planets. I think that it would also affect the exploration out of our world. Articles like this are simultaneously humbling and awe-inspiring. Humbling, in that it checks our ego as humans by reminding us that we are small and truly insignificant within the universe. 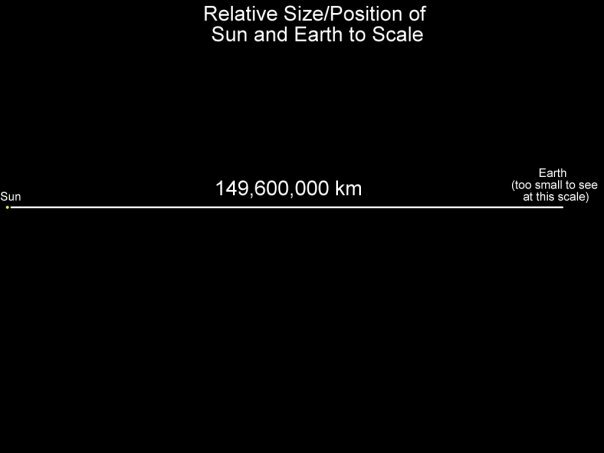 As @amylee suggested, the Earth feels so large to us because we live on it, but when the Earth is shown to scale compared to astronomical distances… it’s humbling. Awe-inspiring, in that us tiny humans can even contemplate such technological marvels, let alone accomplish them. I have no doubt that we will accomplish things of this scale.